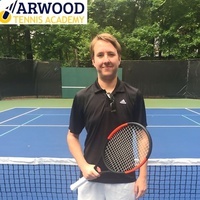 Hello my name is Luke and I am a local Acworth tennis coach with over 24 years of playing experience and over 15 years of teaching experience! I am also a PTR Certified Tennis Professional. I grew up playing junior tennis on the national level and at age 17, I finished the year ranked top 5 in the state of Georgia and top 20 in the South. I was a nationally ranked junior and played matches against such ATP professionals as Robbie Ginepri (former #59 ranked player in the world) and John Isner (current #29 ranked player in the world. Luke can recommend a location or come to any court inside the highlighted service area below. Yes, at the PGA Superstore in Kennesaw. $20 court fee paid to the facility.